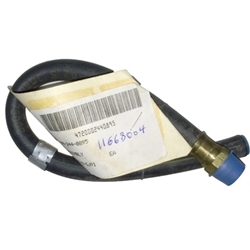 M151 & M151A1 Fuel Hose Assembly To Carburetor with Inlet filter only. This particular hose has a lot of confusion around it's application. The manuals don't help much. The research we have done indicated that it would only be applicable to early models which have added the carburetor inlet filter.